Throughout the world, there are competing legal systems of civil law used to govern the transactions occurring between international buyers and sellers. Here in the USA, our laws are mainly derived from English Common Law. The French have Napoleonic Law, while most Latin countries are steeped in both Roman Law and Spanish Civil Law and of course many Islamic nations must utilize Sharia Law as an integral feature of their civil systems. In this brief article, I will not enter into a discussion of the differences between each competing system. It is sufficient to understand that just because our law operates in a particular fashion, things may not work the same way in another country and in some nations the way we do or interpret things won’t work at all! Indeed, even our neighbors to the North and South of our national borders do have differences in law which must be taken into account. 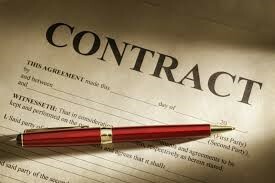 There are choices of law and venue in sales contracts. Many sellers utilize a “choice of law” clause in their sales contracts. For example, “This contract shall be interpreted under the laws of the State of California.” Please notice I used the word “shall”, rather than “may”. Any time you want something in a contract stated as a requirement and not a choice always use the affirmative word to convey the exact meaning you desire. “May” is simply too vague. A clause such as this usually sounds like a good idea. However, when it stands alone, without a venue (location) for the resolution of any disputes, difficult consequences can follow. The natural venue for any lawsuit is typically in the locale of the defendant, lest we see a defense filed known as Forum non conveniens (Latin for “forum not agreeing”). Consequently, if you state in your contract that it must be interpreted under the laws of The State of California that is the law to be utilized by any Court. While it is conceivable a Turkish Judge may either have a full education in California law or can hire an expert to interpret a case by using California law, you will be placing that Turkish Court under a great burden and may even cause you greater expense if they have to hire outside experts. In fact, I have seen foreign Courts dismiss such cases because of their own lack of competency to proceed at all! Even the lawyers for both sides would be at a serious disadvantage for the need to use laws unfamiliar to them. Even defining the choices of law and venue may not prove sufficient to your ultimate purpose of collecting a debt. Some nations may give full force to your California Judgement (if all internationally required steps are taken), while other nations might not give any weight to it at all. Even if the foreign Court will recognize your Judgement, you must still be prepared to file a new lawsuit in the foreign jurisdiction to gain recognition of your California Judgement. Bear in mind, the United States does not have a treaty with any other nation, which agrees to mutually enforce the Judgements obtained in their respective countries. Consequently, when your lawyer is framing the terms and conditions of your sales contract, have him confer with local counsel in the foreign jurisdiction about the subject of enforcement of foreign Judgements.